This tutorial shows you how to find where captions can be added to your media and how captions should look once added. Click Browse and select an SRT or DFXP caption file. Enter a label to display for the file in the caption selector. The caption selector displays caption options in the media player. 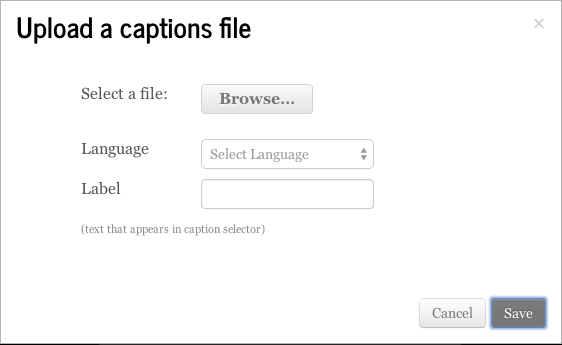 The file is added to a table on the media page's Captions tab.